Beaches in France on the English Channel are in the regions of Brittany and Normandy. 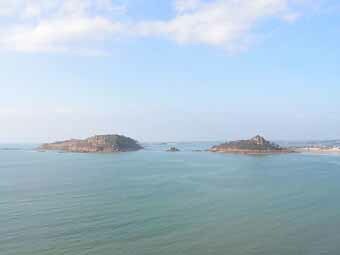 The best beaches for swimming and water sports are in Brittany France which is renowned for its beautiful coast. For holiday goers it offers fabulous French beaches, great surfing, diving, sand yachting, and one of the best places in the world for sailing! And it has a unique French culture because it is Celtic. Best beaches in Normandy are historical and famous places in France to visit with beautiful views. 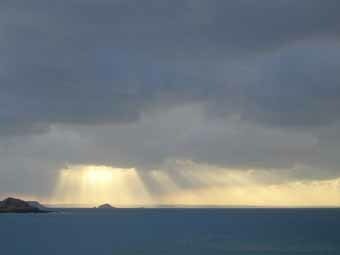 The Atlantic : France beaches along the coasts of the provinces of Brittany(southern coast) and Languodic-Roussilin. The Western Mediterranean: French beaches West of the Rhône. 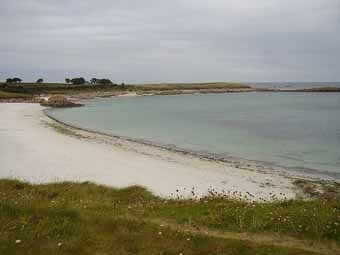 Beautiful shoreline of pink granite rocks alongside sandy beaches. Ile de Batz: 20 sandy beaches. A favorite is Grève Biache - long sandy beaches popular for families. Carantec: great walking paths, beautiful views, wide sandy beach. 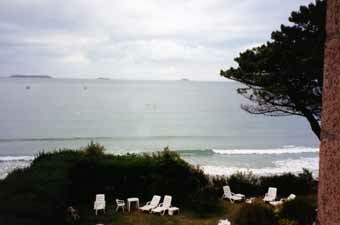 Trestraou in Perros Guirec, and Trestingel are wide and sandy. The water here is a beautiful emerald green with beautiful sandy France beaches flanked by jagged cliffs. Cap Frehel: great for surfing. Beautiful lighthouse on the point. 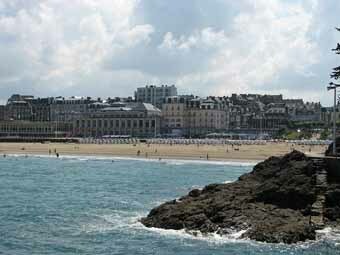 Dinard is the wealthy center of this coastal resort area. It started in popularity around the 1850s and still popular today because of its wonderful beaches and beautiful water. Some favorite beaches: Plage d l’Ecluse (near the casino), Plage du Prieure, and Plage de St Egonat. 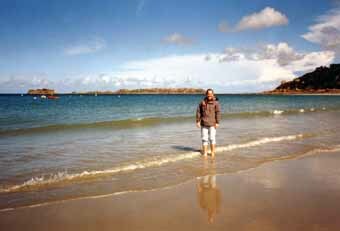 St Cast le Guildo: long flat beach. 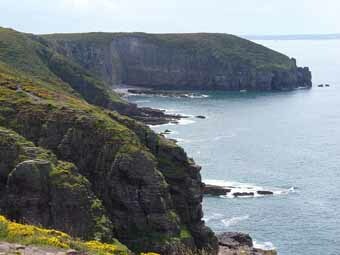 There are lots of places to stay along the coast, numerous Brittany vacation rentals, hotels, and B&Bs. Want to rent a Brittany cottage or villa? Here is a self catering France guide to get you started. 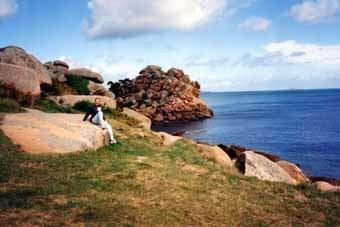 Try camping in Brittany on or near the beach. 5 star French campgrounds are like resorts or try camping in France in tent under the stars. What to Eat? France food in Brittany is famous for seafood and crepes. Here is a great guide to make ordering easier. Flying to France? Airports in France that serve Brittany.